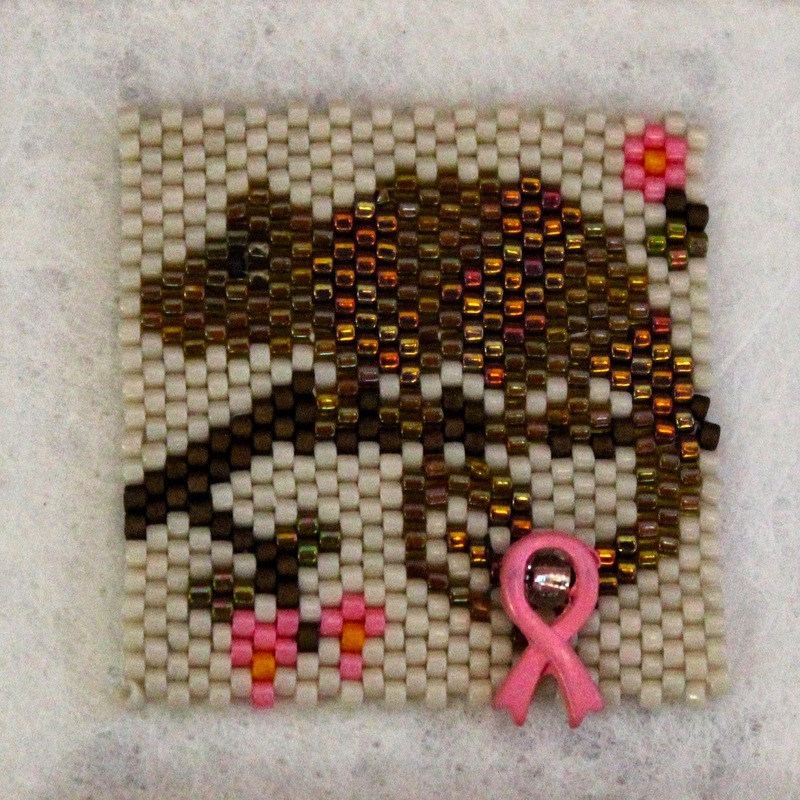 Back in November of 2014, Bead-It-Forward put a call out for patterns to be submitted for use in the Bead-It-Forward project. The only requirement is that they be animal themed. 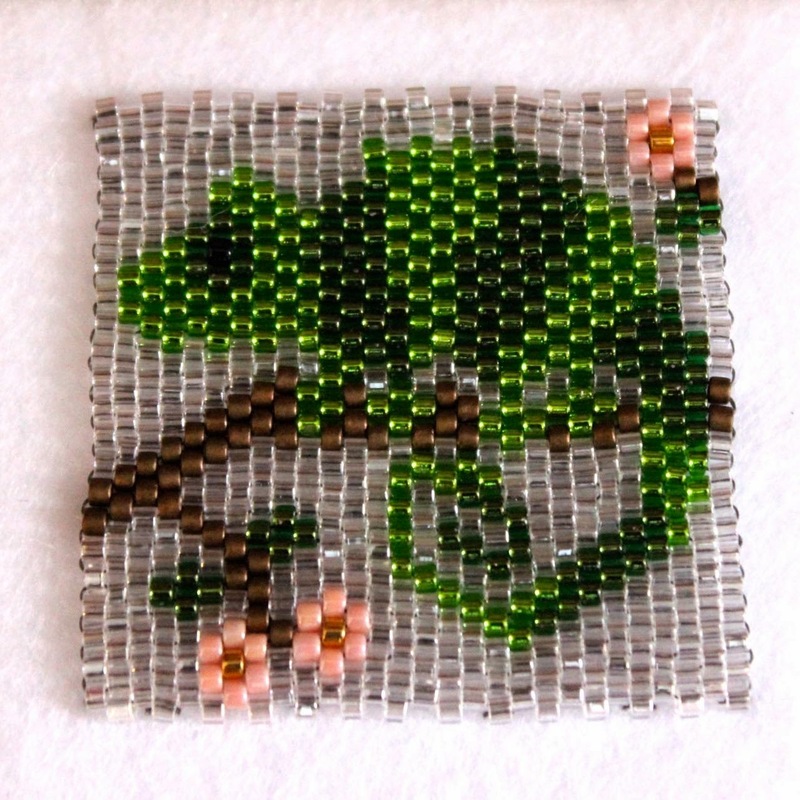 Nearly 50 patterns were contributed from bead artists around the world! They were all gorgeous, and many beaders used them for their square donations. 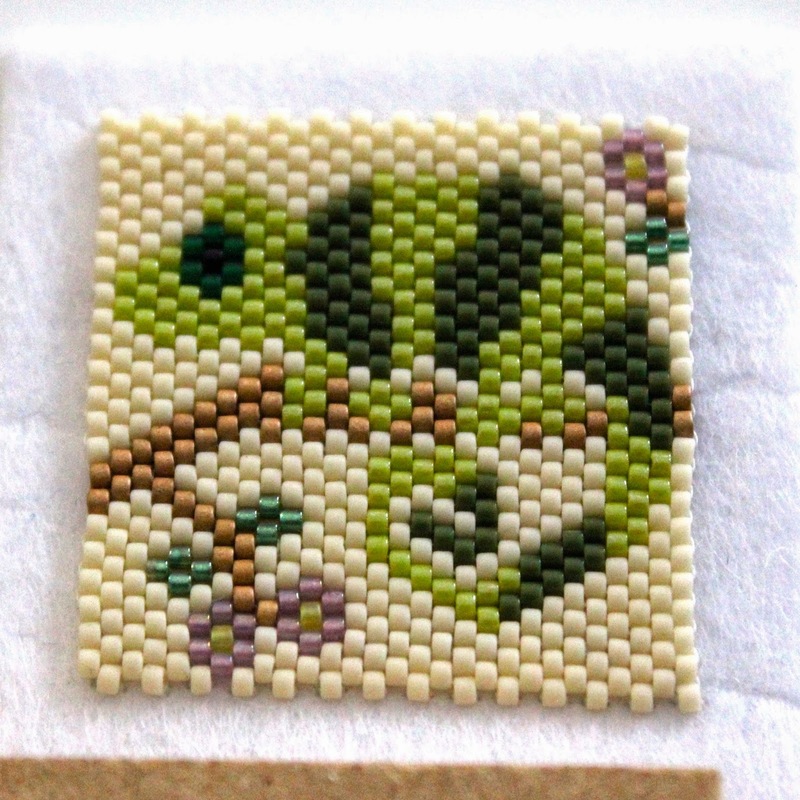 I hope you enjoyed all the iterations of the chameleon pattern. 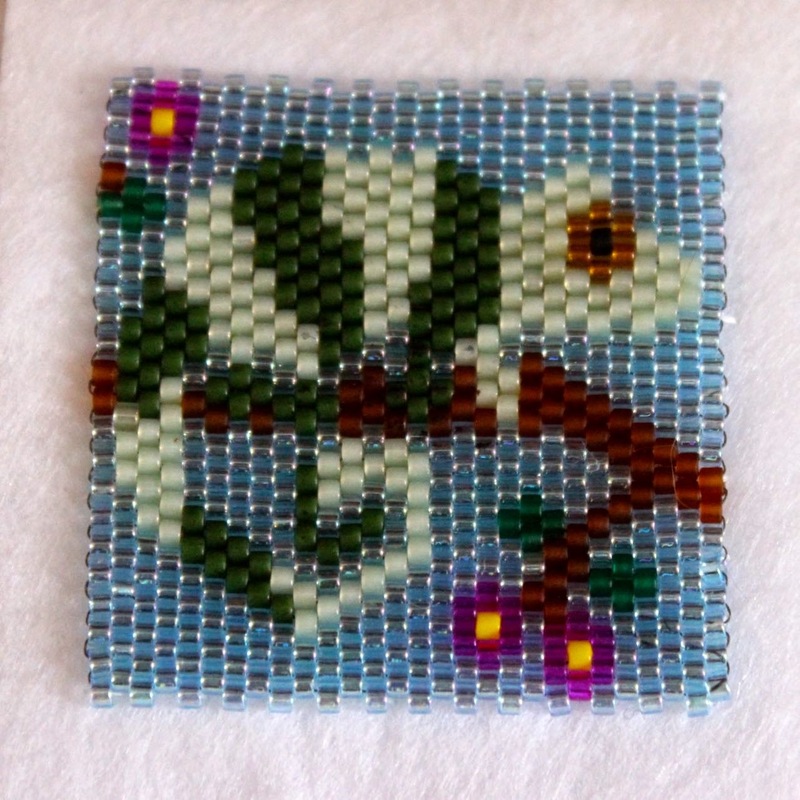 I can't wait to see what the beading group in Poland has created. Seems their actual squares are in international postal limbo right now, unfortunately! But I remain hopeful they will arrive in the US soon!. Please come back tomorrow for the letter "D". 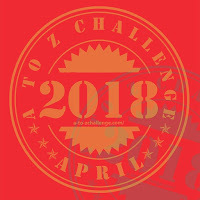 If you'd like to see what others A-Z bloggers are writing about, click here. Aw everyone did a great job interpreting the pattern. These are fantastic! Same subject, infinite color combos! 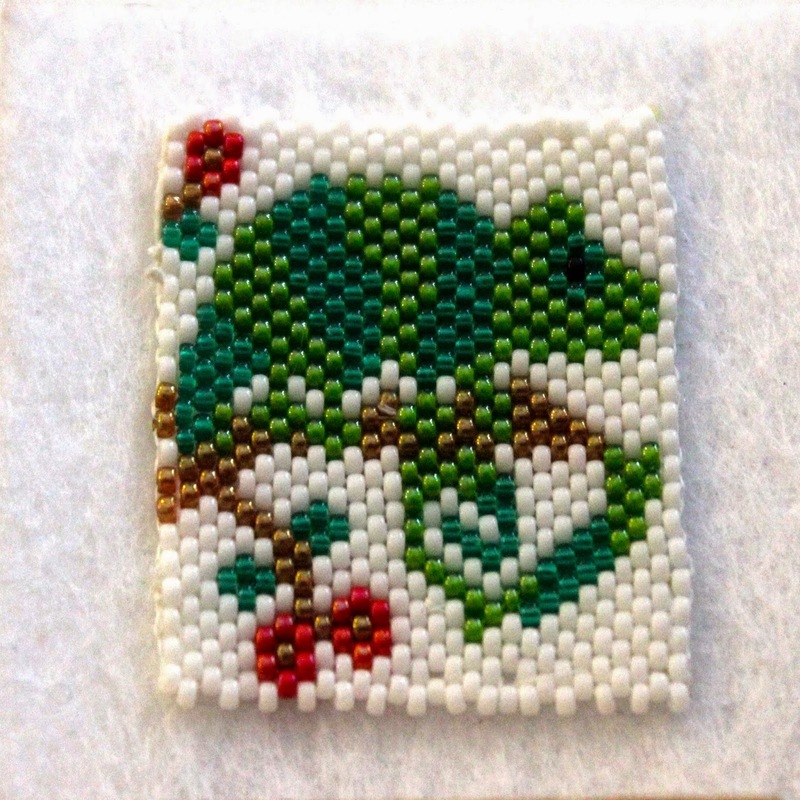 Hopefully the the package will arrive ~ maybe just in time for the letter P.
So cute and fun! Love them! Thanks for sharing. 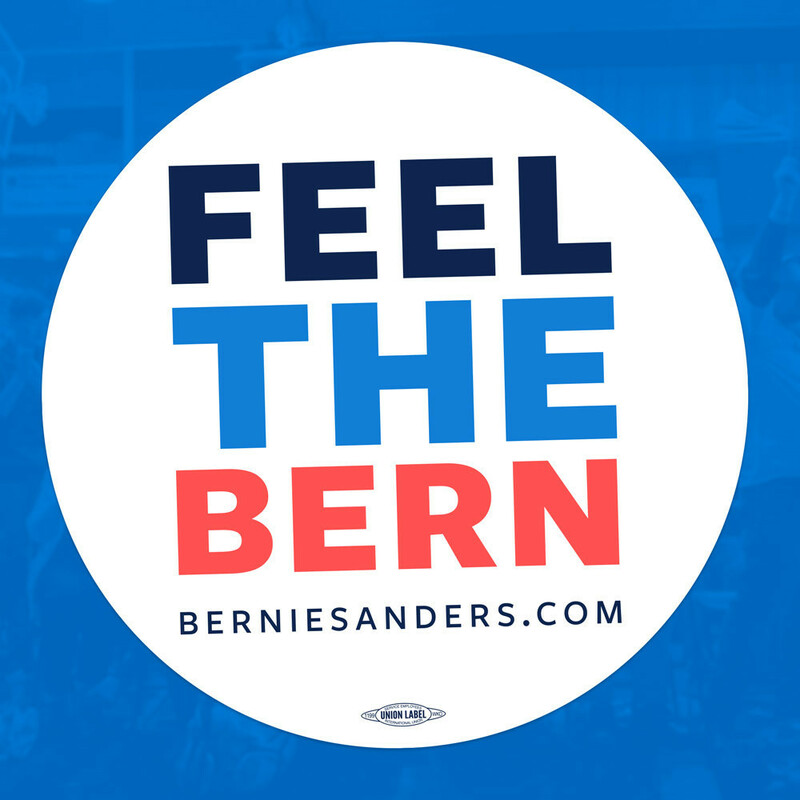 If you have time you should stop by and check out my C post. 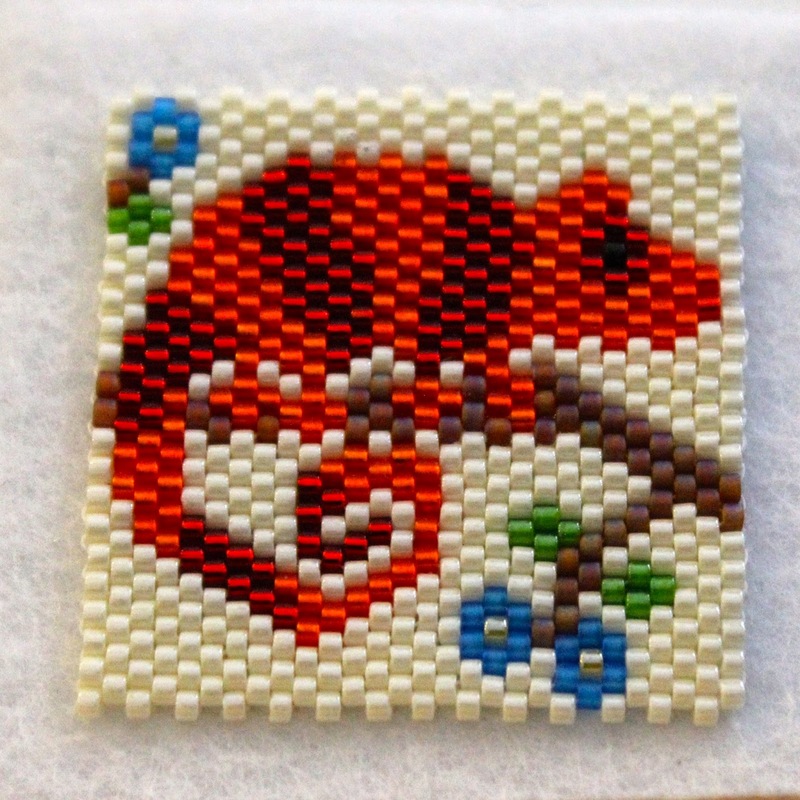 I loved doing this pattern this chameleon is so cute, all of the squares are so pretty, but I love the bright colors of the two from Texas. I can see why that was a popular pattern! how fun is this post?! 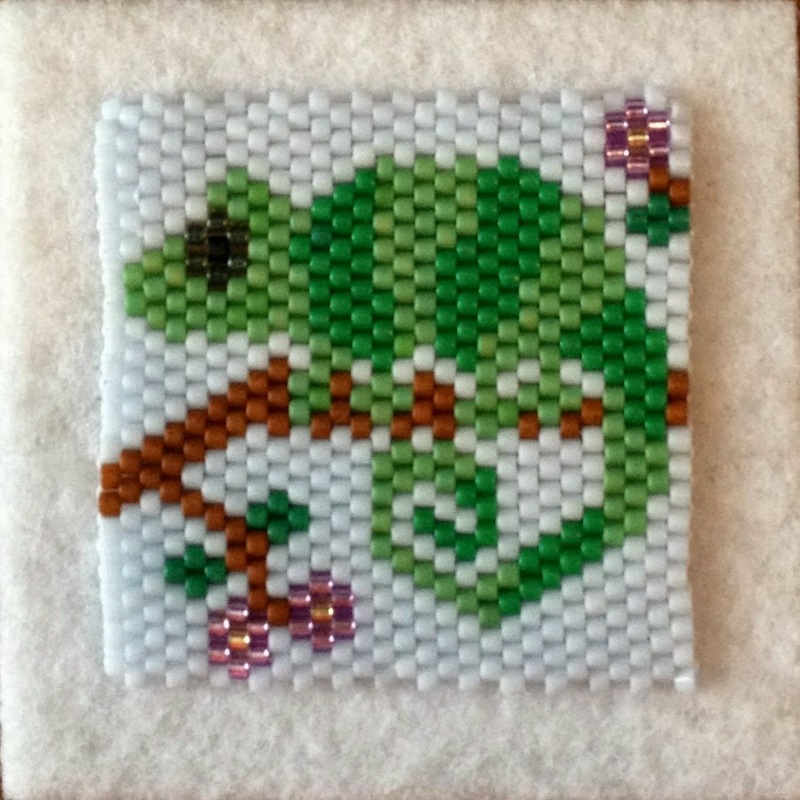 I love all the color combos of that chameleon! 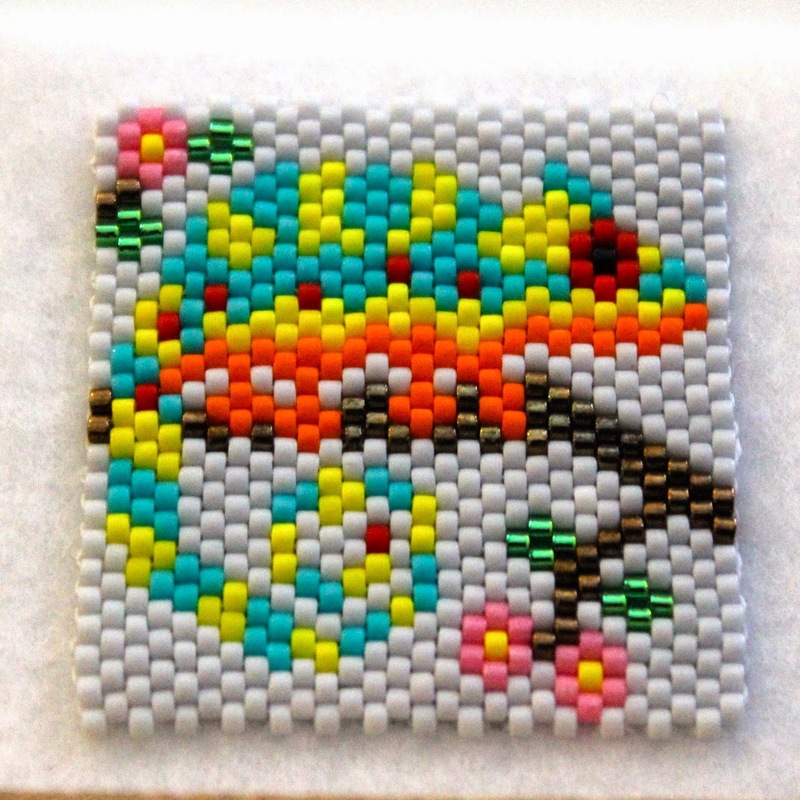 Beautiful beadwork. Thanks for posting that. I know it's a lot of work. 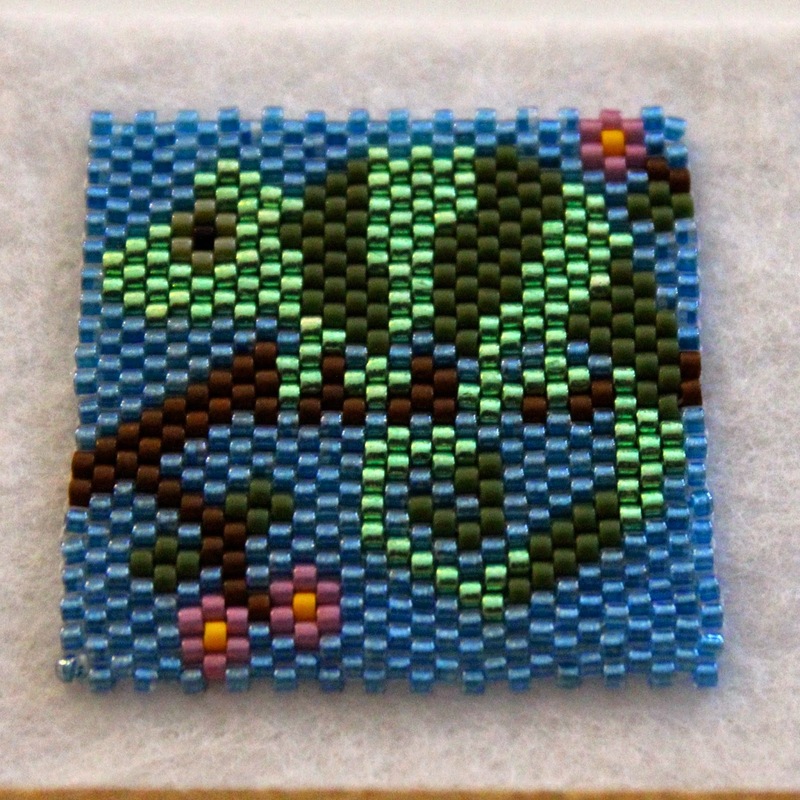 I've done some beading, but nothing quite like this.